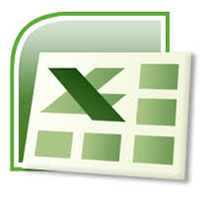 Build on your familiarity with basic Excel skills to reach a new level of proficiency. Learn how to create graphs and charts, and use conditional formating and a variety of functions to save time and get a better handle on your data. Here at the library, we help people at all skill levels with computers and technology – from the complete novice straight through to advanced users. Where do you fit into this spectrum? Our Novice category is for you if you’ve never used a mouse, keyboard, or touchscreen before. Don’t worry - we’ll get you started in no time! The Beginner category is for you if you have used a computer in the past and are comfortable with the mouse, keyboard, touchscreen, and Windows basics, but are brand new to the topic of the class. You fall into Intermediate if you have a good grasp on web browsing, internet searching, and productivity apps (e.g. Word and Excel), and want to build on those skills to do more advanced tasks. You are ready for Advanced classes if you feel confident in your computer skills overall, but want to perfect your skills or dig into highly complex topics/problems with expert guidance. If a class is rated lower than your current skill level, but the topic is of interest, please feel free to sign up. If you are not sure where you fall, or would like help deciding which of our classes to take, please feel free to call our Information Desk and request an Orientation Appointment or request an appointment online now. Digital Services Librarian Bekah Jarvis-Girtler will be happy to help you discover where your skill levels fit into our curriculum.